Fundraiser by New Trier Neighbors : Send a Kid to Camp in 2019! Send a Kid to Camp in 2019! DECEMBER 22 - THIS JUST IN: Donor "Challenge Gift Match" Announced. Noon Saturday to Noon Christmas Eve (or until $12,000 goal is reached whichever comes first) a special donor will MATCH every gift made. Please, double your gift and give today! DECEMBER 21 - THIS JUST IN: Special Donor gives $6,000 to campaign to "Send a Kid to Camp 2019"! The donor wishes to remain anonymous - we are thrilled and grateful. Will you help us get to our $12,000 goal by Christmas Eve? This Holiday season, YOU can give a child or teen in Chicago a gift they will never forget! A week of Kids Across America Camp in Golden, Missouri, next summer. Visit the KAA website here. New Trier Neighbors is pleased to announce a special Holiday Fundraising Campaign to send up to 20 Chicago kids to camp who wouldn't otherwise have this chance. We've partnered in this mission with Pastor Corey Brooks who directs Project Hood in the Woodlawn neighborhood of Chicago. He and his team are eager to provide this once-in-a-lifetime opportunity to boys and girls of all ages within their community. Many of the kids who get to go to KAA Camp next summer will have never been outside Chicago city limits! Visit the Project Hood website here. Since 1978 Kids Across America has been bringing urban youth to Missouri for a week of fun, safe, meaningful Christian camp with trained staff and mentors. This is possible because their tuition is provided by friends like you! At KAA camps, lives are deeply impacted and futures changed. Will you give a chance for changed lives and futures to children in our own backyard of Chicago? You can if you donate $50 or $100, or $250 or more today! 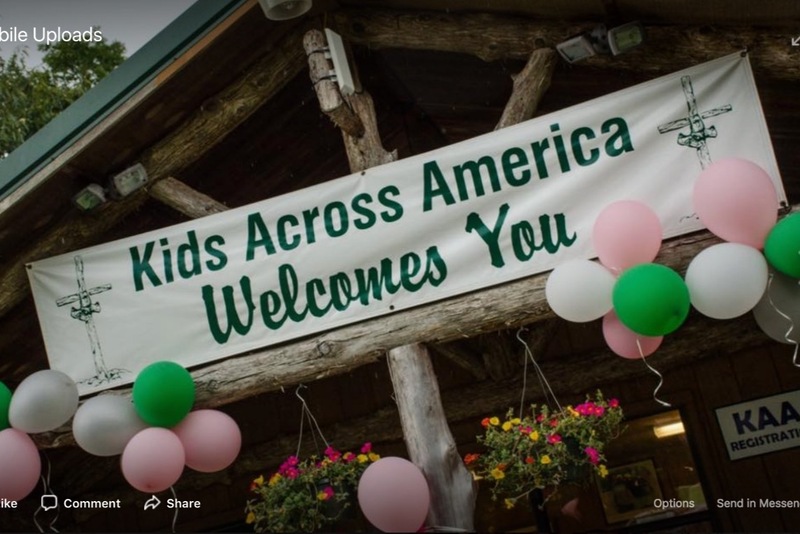 All donations are tax deductible, go directly from Go Fund Me to Project Hood, and are exclusively for sending kids to KAA Camp in 2019. When you make a donation, you will receive an emailed receipt for income tax purposes. Both Project Hood and KAA Camps are registered 501 (c) 3 tax-exempt organizations. We will make sure to share with you the stories and the experience of the kids YOU are sending to camp! Visit here to see a video about KAA camps! Will you donate today and help us meet our goal of raising $12,000 by December 24th? The earlier the donations come in, the more momentum we generate toward meeting our goal. Please feel free to share with friends. Thank you!! You did it!! Your generosity means New Trier Neighbors met and EXCEEDED its Christmas fundraising goal of $12,000 to send up to 20 South Side kids to camp, next summer. We are so grateful. We will leave the fundraiser active until midnight on December 31, so feel free to help send even more kids to camp, or share with a friend. So grateful for all of you, and we will keep you posted on how your gift helps change the lives of the kids it will benefit. Thank you!!! Hi friends, just excited to let you know we've had a generous donor offer a "matching grant challenge" through noon tomorrow, or when we reach our fundraising goal of $12,000 which ever comes firstto send South Side Chicago kids to camp next summer! We are only $2250 away from our goal. If you know someone who is thinking about giving, now is the time to do it because their gift will be DOUBLED. We are almost there. Thanks so much for your generosity! Hi all! Excited to let you know that we are 75 percent of the way to our goal of raising $12000 for Chicago kids by Christmas Eve! We just received a gift from a donor who wishes to remain anonymous of $6,000 for this great cause. You've already been so generous, thank you. Would you consider asking a friend to help us close the gap and meet our goal by Christmas Eve? (And feel free to give another gift if you like, too!) Best, Betsy Hart and New Trier Neighbors!